Gentlemen of the Garnet, Gray and White – believe it or not, the 2019 New Rules of Golf have just made our games quicker to play and more fun. Tuesday, September 17, 2109, we play Scramble Team Golf. Mark your calendars and plan to come out. Same times, same place – Cambridge Golf Club welcomes us back for our 25th year!!! Thank you to all the dedicated organizers, event volunteers, and participants! Job well done! Online registration is now closed. Walk-in registrations will be available throughout the event. ($25 pp) Please note: the Friday night Choir performance and the Saturday Pub Night are SOLD OUT. Finger food included with ticket. Cash bar (there is an ATM at The Crossways on Dundas north of Bloor). 19+ event. Live band, “The Release” will perform starting at 11 pm. There will be a basketball scrimmage using the Gerryball format, 5 on 5, the first team that scores a certain number of baskets, stays on and a new team of 5 challenges them. Repeat. This is a game developed by our fabulous lifeguard, Gerry McGraw, in his 40 years of providing a format for ex-Humbersiders and friends to continue to play after graduation on Monday and Wednesday evenings. Some of those ex-Humbersiders will be playing and are invited to show up. Parking at the school is best on High Park Avenue, The Annette Recreation Centre off of the school, residential streets around Western Tech are generally less occupied. Parking at Western Tech underground parking is also available. Highly recommended is the TTC, with stops at Jane Station talking the DUPONT 26 and getting off at Clendenan Ave. Another option is the Lambton 30 bus from High Park Station which stops at Humberside Ave across from the school.You may park at most TTC stations and enjoy a hassle-free ride to the event. The fee to register for the weekend will be $20. Includes admittance to the school on Friday evening and Saturday, and all events at the school. Those registering by Oct 1st will receive a commemorative tote bag filled with goodies. Late registrations after October 10th and walk-in fees are $25. Children under 12 are free with registered guests. Please click on the link below to Registration, purchase pub night tickets and order your Commemorative book. Please note the Commemorative Yearbook order is first, followed by Registration. If there is more than one person registering, you can put both names where it asks for “student” when completing your order. Unfortunately,other commemorative items are no longer available for purchase. When completing your order, Grade represents the year you graduated. For staff, you may put in the years you were there, for example, 67-77. If there are more than one alumni with different names and graduating years, please complete your order with one year and email Jacquie <jacqr@sympatico.ca> to update your registration. Name tags, commemorative tote bag, and pre-ordered items will be available for pick up during the weekend. See the schedule below for registration times. There are several sponsorship opportunities available to help the alumni create a special event for the 125th. All levels include advertising for you or for your company, tickets to events, etc. Please click on the link for the sponsorship package. Not sure if you see something there that you like? You may also wish to sponsor part of the swag bag goodies. Please email Jacquie for opportunities. 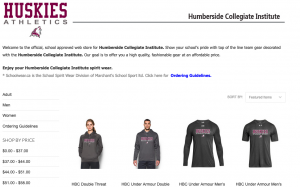 No matter what your comfort level is, there is something for everyone who wants to support Humberside’s 125th! Name tags, commemorative tote bag, and pre-ordered items will be available for pick up during the weekend. Relive all your memories by visiting the music wing, gym, Lismer Hall auditorium and the Lismer mural, library, staff room, cafeteria and art displays, all the decade rooms and the hallowed hallways of Humberside! Fee: $15 You must be a registered attendee in order to buy tickets. They will not be available at the door. Live band, “The Release” will perform starting at 11pm. Come on out and enjoy a trip back in time with hits and pics from years past. Ah the classics, Zadok the Priest, Bridge over Troubled Water, and how could you forget Hallelujah Chorus and of course our famed HCI fight song! “Those were the days my friend….” If you would like to re-live those days of singing and want to join the reunion choir at Humberside’s 125th Anniversary celebrations, please email Miss Janet Keele at d_thomas@sympatico.ca and let her know. Please include your maiden name if applicable and what part you sing ( soprano, alto, etc.) At this time practices will be later in 2017. Volunteers will be needed for putting together the welcome bags before the weekend, during registration, guides at the school, decade room supervisors and general help. An hour or two of your time is appreciated. You’ve gotta love it! HCIers celebrate our Humberside 125th Anniversary on the October 20 weekend, and our Alumni Golf Group celebrates our 23rd year playing golf together at Cambridge Golf Club. What happened in the 122 non-golfing years? No matter, throw your hat in the ring to play Cambridge Golf Club with us on Tuesday, June 20, and we’ll set the fun HCI golfing tone for the next 125 years! Call your winter-tired golf buddies and set up part of a foursome. 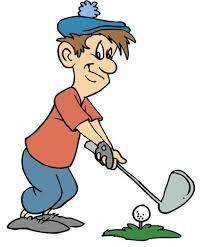 Then book your tee times with Jim Wismath at (416) 449-5329. Or email Jim at jwismath@rogers.com. Jim will put together the usual great foursomes. Limber up for summer with like minds at beautiful Cambridge links. Mark HCI GOLF, Tuesday, June 20 on your calendar, now!